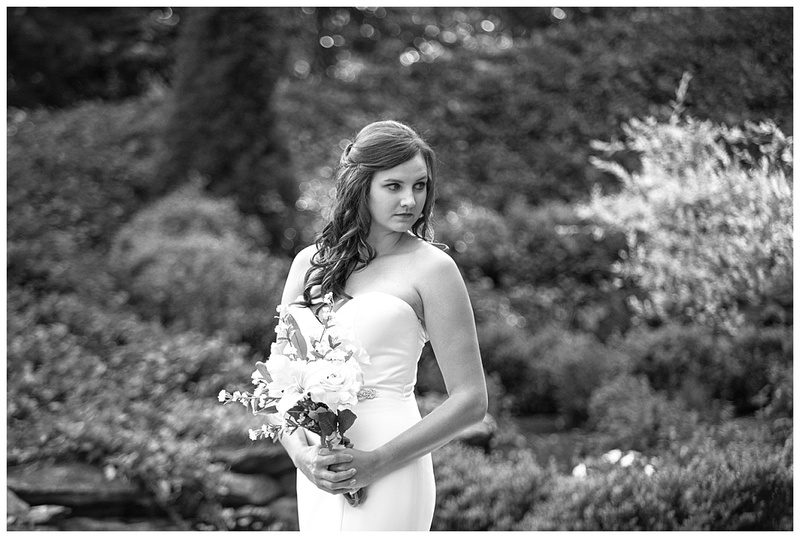 Brooke and Ben were married this past weekend at Grandfather Golf and Country Club and I can finally share the images from her bridal portraits! 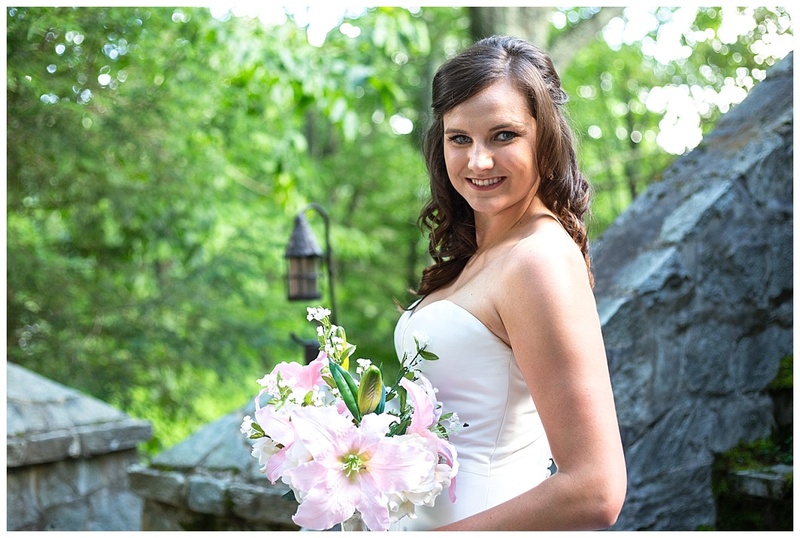 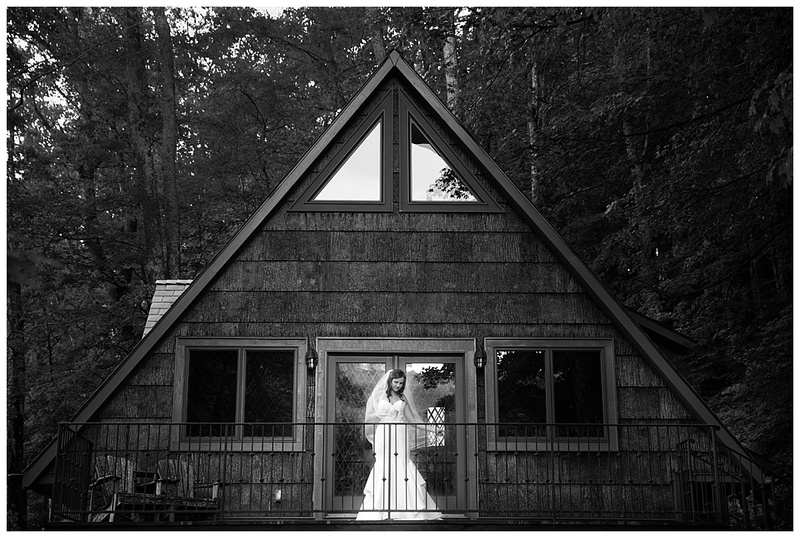 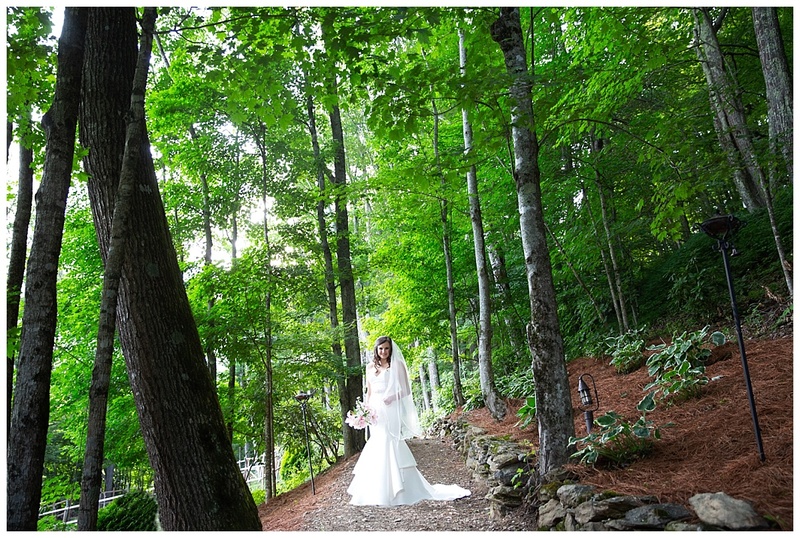 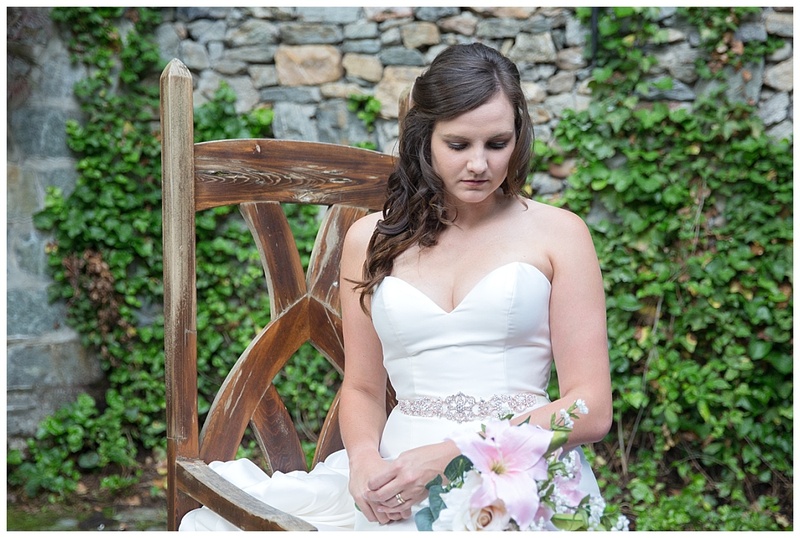 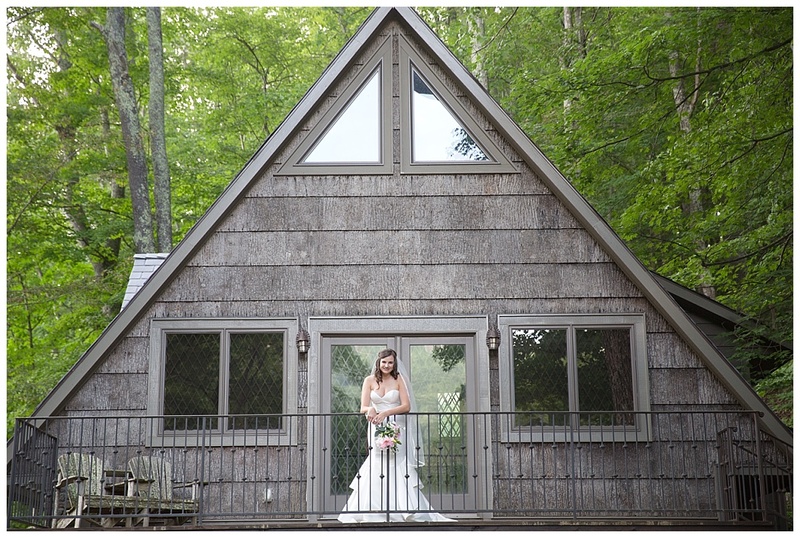 We were so fortunate to be able to use a new wedding venue in Banner Elk as the backdrop. 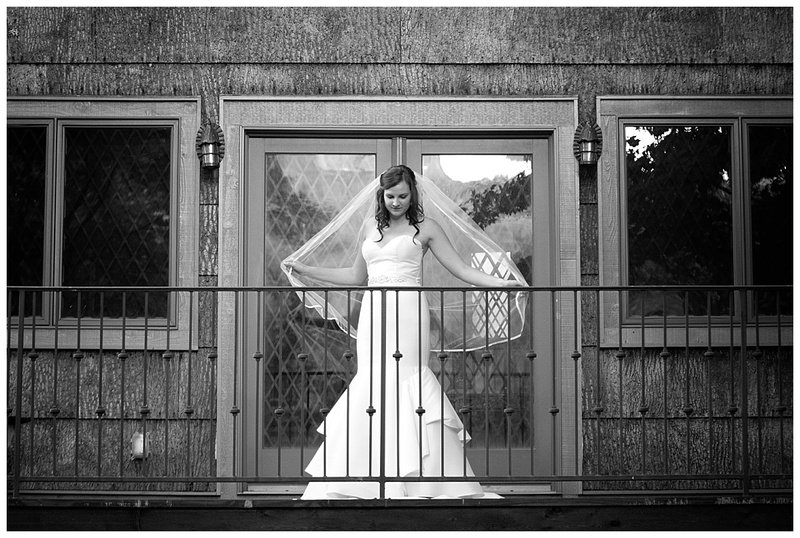 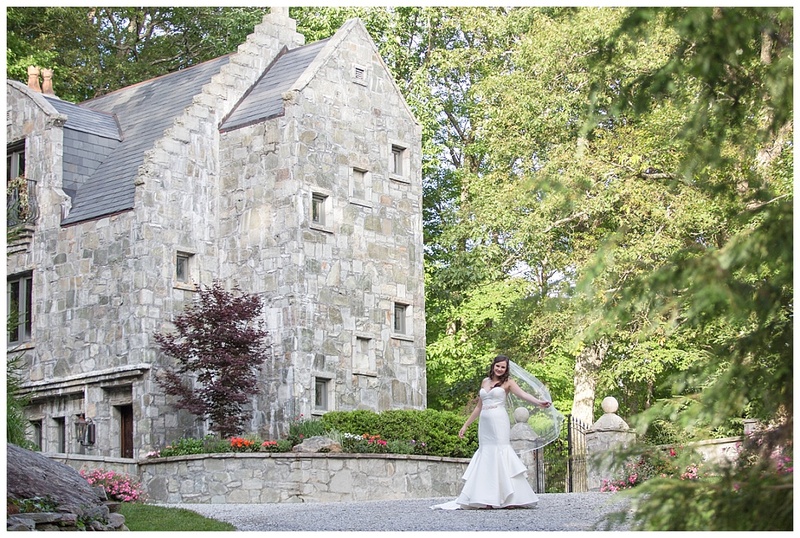 The Chateau Dumont, a beautiful castle venue located on Tynecastle Highway in Banner Elk, is full of history. 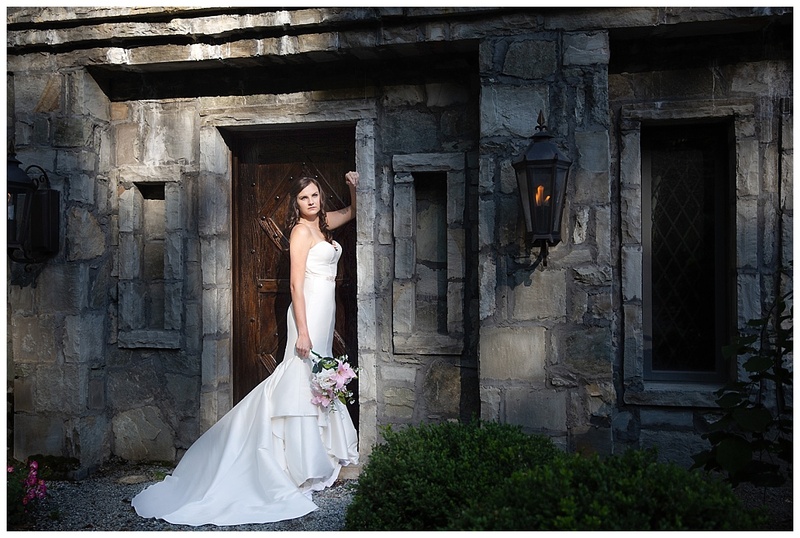 It was constructed by the family who owned Grandfather Mountain and co-founded the Grandfather Mountain Highland Games. 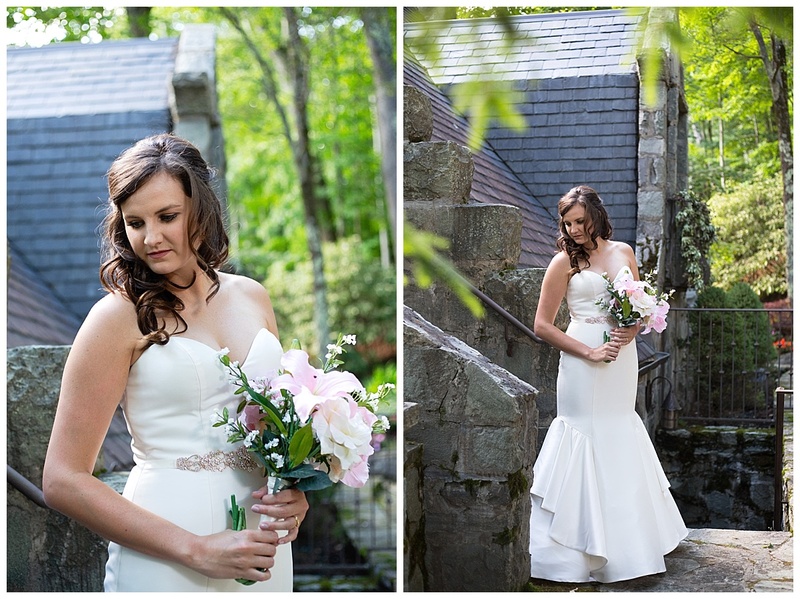 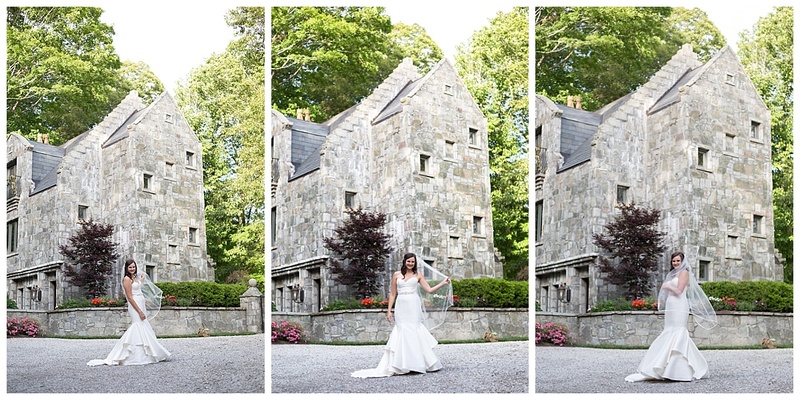 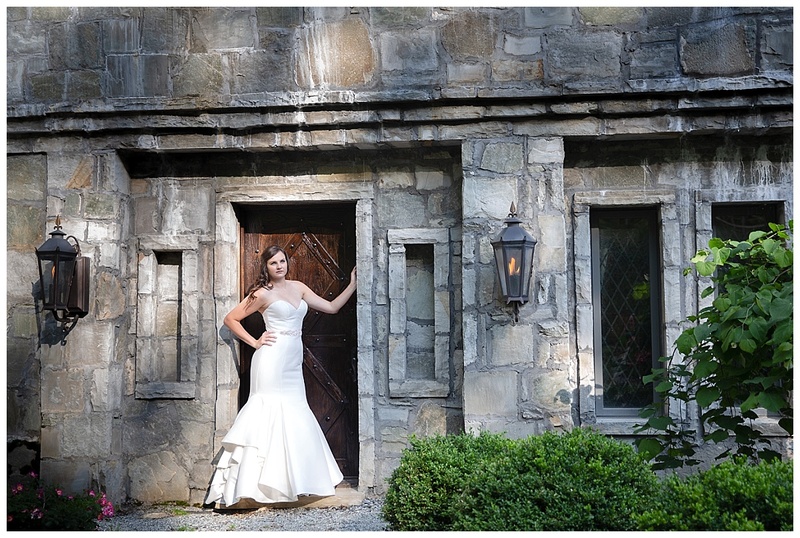 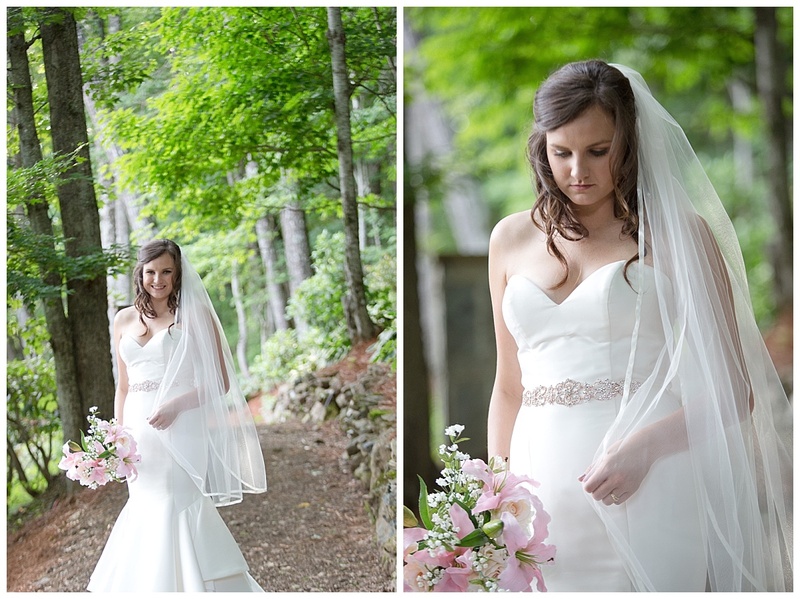 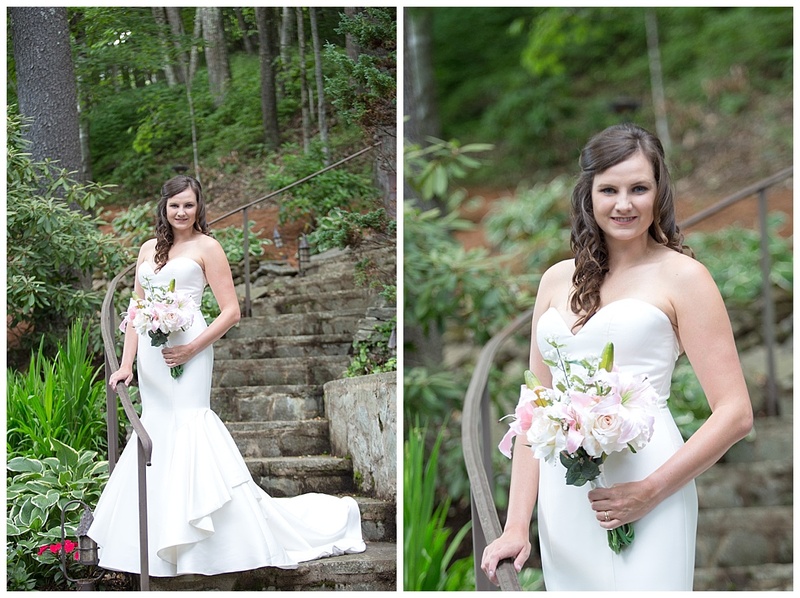 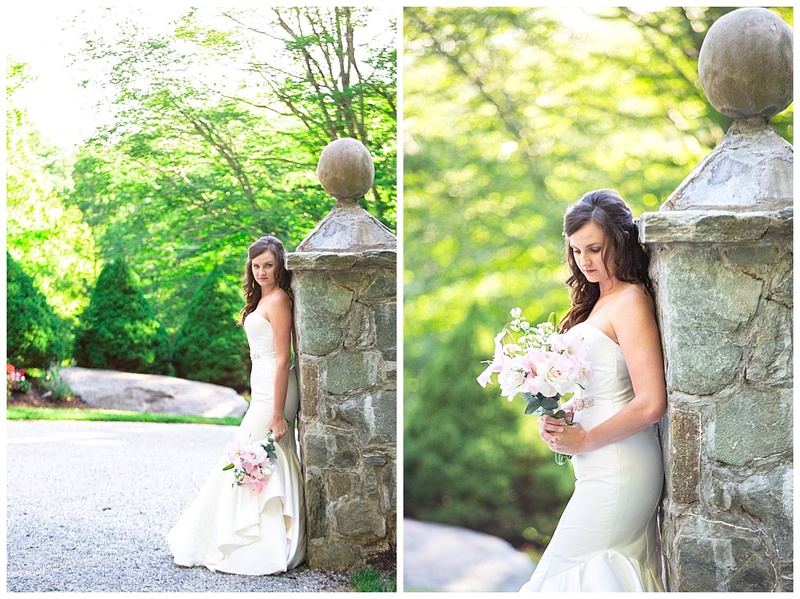 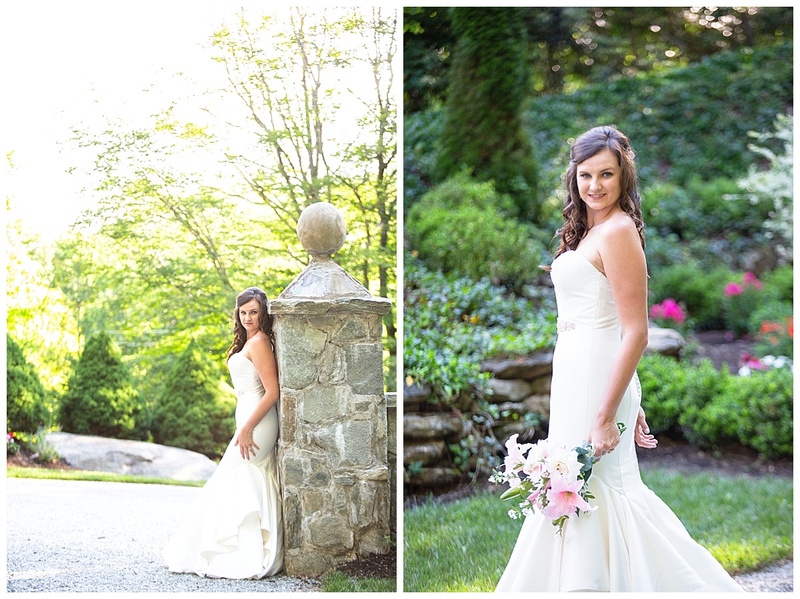 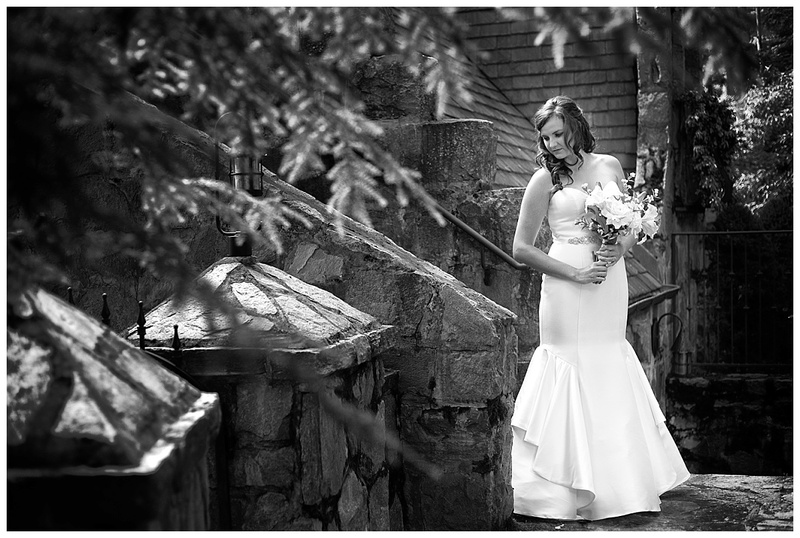 The stone castle turned out to be a perfect, elegant background for Brooke’s bridal session. 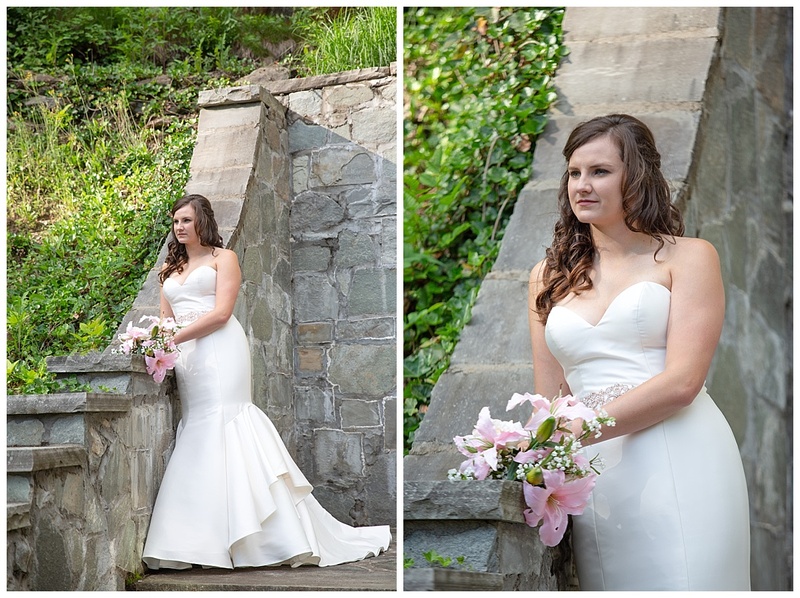 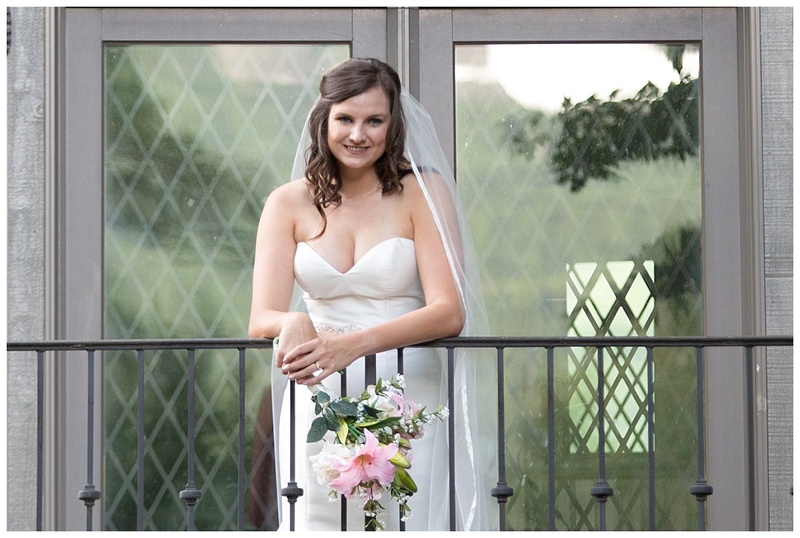 In a chic and simple strapless fit and flare dress from New York Bride & Groom , Brooke was as stunning and beautiful on the outside as she is on the inside! 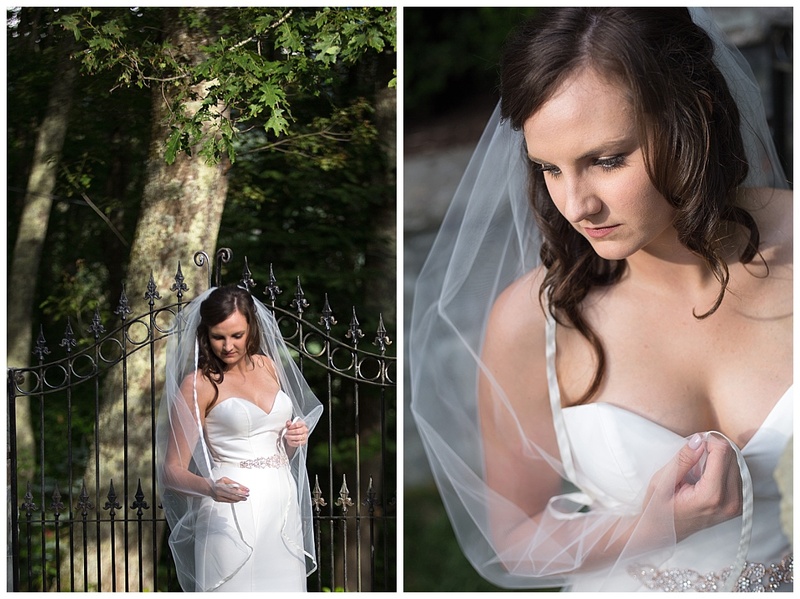 Stay tuned for a post with the wedding photos because it’s coming soon!